Companies with at least one female founder say that the fundraising environment is more challenging than what companies with only male founders report—and they raise much later. They bootstrap with bucks from friends and family, and more often postpone institutional fundraising altogether. 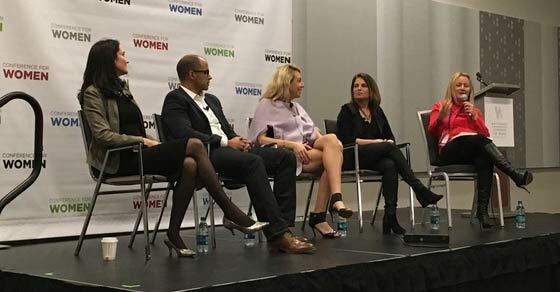 The number of women in leadership (i.e., the ones making all of the major decisions) is not at a healthy level of representation: 57 percent of startups don’t have a woman in an executive position and 71 percent don’t have a woman on their board. #1 Understand what investors want. Never forget: investors are in it to pick winners, so they can make money. Gender aside, raising capital is tough for the huge majority of founders. Only the best companies secure institutional equity finance. Don’t forget what you are worth. Think big. Now is not the time to be conservative. #2 Select long-term partners. Find investors who believe in you (not necessarily the product) so that you feel more confident to take risks, and even fail. Did you know it takes, on average, seven tries to be successful? Stick with the investor who is there with you for the first six. In a sense, this is a marriage. You should research potential investors and do due diligence on them, just as much as they do on you. You can seize market advantage with the right people alongside you. #3. Listen. There’s a fine line between unrelenting focus on your mission and keeping an open mind. Listening to advice and knowing when to apply it is critical. SVB client Shivani Siroya, founder and CEO of Tala, was passionate about helping entrepreneurs in emerging nations gain credit more easily. It was during her travels to Africa and Asia, going to people’s homes and businesses to understand the flows of capital, that a young Kenyan gave her the idea to turn her credit scoring and lending tool into a mobile app. “The more open you are, the more you will get really great advice,” Siroya says. #4 Build the team. At the end of the day, your team is what really allows you to differentiate your company. Surround yourself with doers and supporters. It’s not easy. Hiring people is the biggest obstacle for growing companies. You are competing for precious resources. SVB client Leura Fine, founder and CEO of Laurel & Wolf, set out to democratize and disrupt the world of interior design. She was determined to make it affordable. She took her skills and attracted a killer team that could turn it into reality. Investors want you to execute and get stuff done. They need to see you build a team that can turn your vision into reality. #5 Be resilient. Gather the grit and banish the doubt. If you suffer a setback, don’t dwell on it. Dust yourself off, get up and move on. Every day, I meet amazing people who have faced rejection and turned it on its head. Take SVB client Kathryn Minshew, founder and CEO of The Muse, who was told no 148 times when pitching investors for her seed round. Yet she stuck with her vision, and today, 50 million people come to The Muse every year. #6 Know that you are not alone. Concentrate on the real-life stories of women defying stereotypes. Be inspired by their example, and follow their lead. There’s so much acknowledgement now that access to capital is sub-optimal for women, and women, especially young women, are willing to challenge the status quo, arguing “that just does not work for me.” Fight for a level playing field—and continue fighting. It is incumbent on all of us, regardless of gender or background. Through inspiration and increased representation, we thrive.